Hearty pancakes like these just feel like a fall recipe to me. The weather is the PNW is just starting to turn back to it’s typical rain, and staying home on a weekend morning with a warm drink and a plate of this comforting treat sounds oh, so perfect. 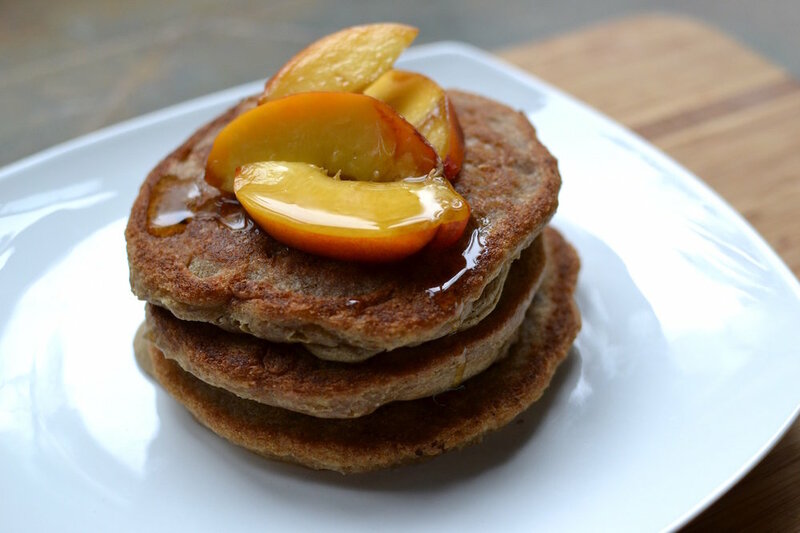 I often find it difficult to make light, fluffy pancakes that are both vegan and gluten free, but this recipe has a way of being light and fluffy as well as satisfying. I’m definitely going to make these in larger batches and freeze them, to have a pancake to pop into the toaster for a quick and filling weekday breakfast. 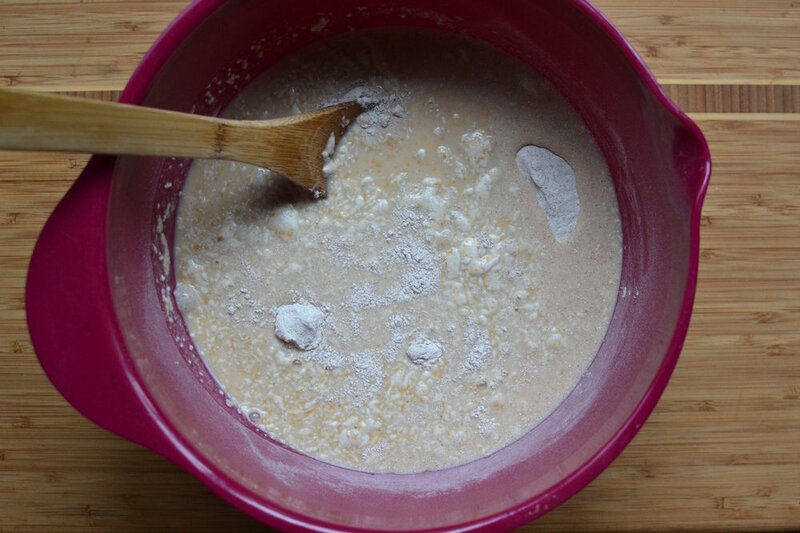 1.In a large bowl, combine the flour, salt, baking power and baking soda. 2. In a separate bowl, combine maple syrup, lemon juice, milk and nut (or nut free) butter, and whisk until the nut butter is completely broken down. 3. Add the wet mixture to the dry mixture and stir until you have a semi-smooth mixture. This shouldn’t be as lumpy as most pancake or waffle batters, but a few lumps is okay. 4. Add enough coconut oil to coat the bottom of your frying pan and use a medium heat. I used a 1/2 cup scoop to ladle the batter into the pan. Cook until bubbles start to form on the surface of the batter, then flip. 5. Cook until golden brown on the other side, or until the pancake is firm to the touch. I like to keep the pancakes on a plate in a very low temperature oven so they stay warm while the rest are cooking. 6. Top with your favourite toppings. Nectarines are in season in my neck of the woods, and made a really lovely pair with the nutty flavour of the buckwheat. If you have the time, make your favourite sides and have a true weekend breakfast. (Yes, I know bacon is not vegan, but neither am I). What are your favourite pancake recipes? I’m interested in trying out more alternative flours and would love to hear your thoughts!